I enjoy knitting, even though I am a novice. In the Fall of 2014, I got scooped up by a knitting circle of intelligent, kind and incredibly admirable women. They encouraged me to start my first pair of mittens. January 25th -- International Day of Mitten-Knitting Devotion. Let's just say, when I picked up my knitting bag earlier this week, it had a pair of moldy brownies in it. 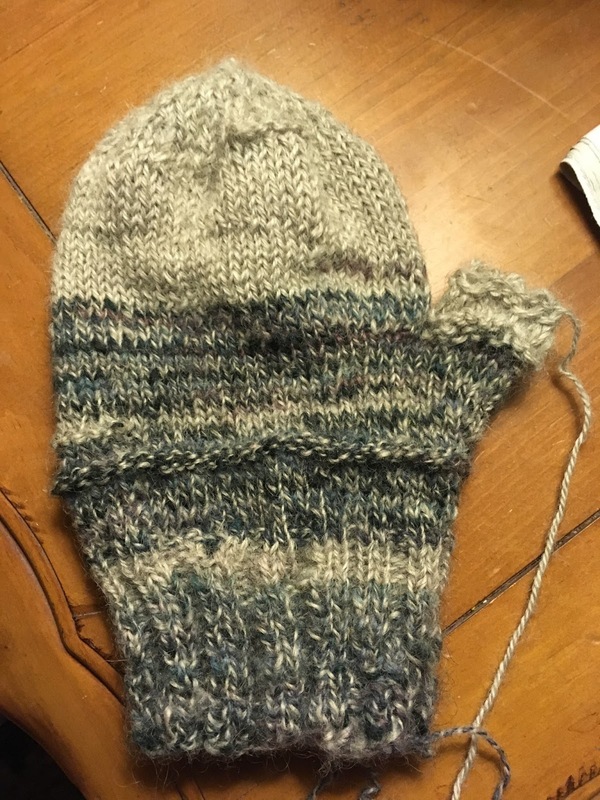 This one-and-only mitten is sentimental to me, and will be filled with tiny woodland creatures the next time I read The Mitten to my kids. P.S. You are the very first follower of my blog. I hope it's a decision you'll soon not regret.